Do you love insects and puzzles? This is your chance to make entomology history. 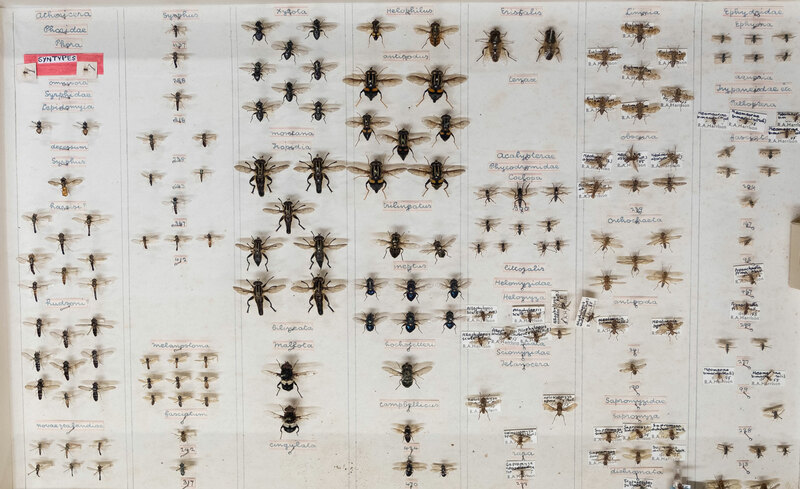 We need help matching thousands of specimens to their records from three handwritten books by New Zealand entomologist George Hudson. Curator Terrestrial Invertebrates Julia Kasper explains the details. What is the Hudson Collection? 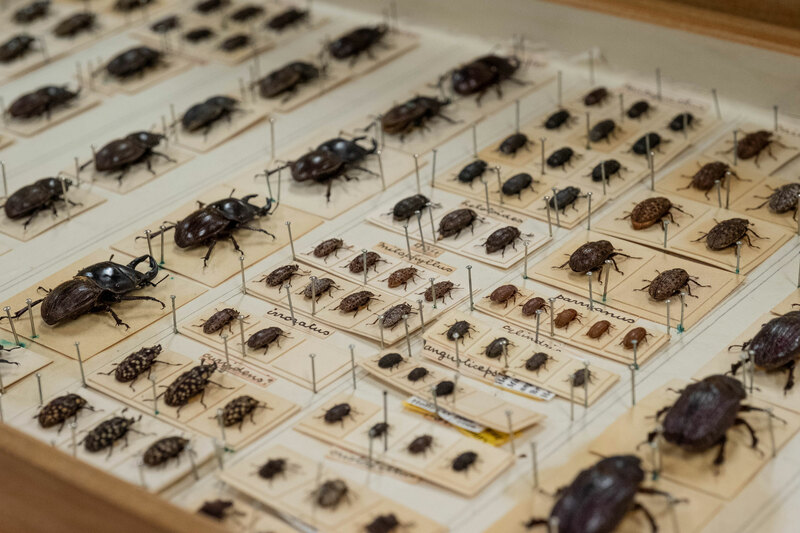 The Hudson Collection consists of several thousand dry mounted insects collected between the years 1881 and 1946 by George Hudson, and is perhaps the best private insect collection ever made in New Zealand. 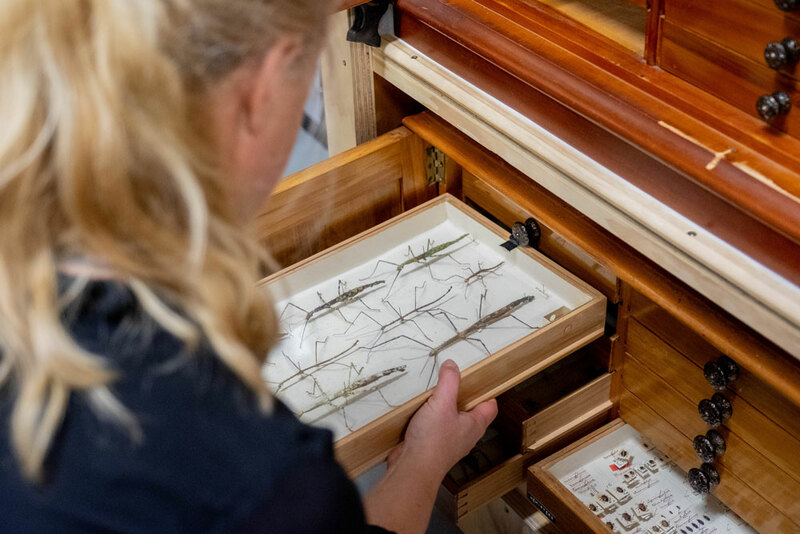 It’s housed in nine beautiful kauri cabinets, which altogether hold 162 glass-topped wooden drawers, scientific letters, and original insect drawings. 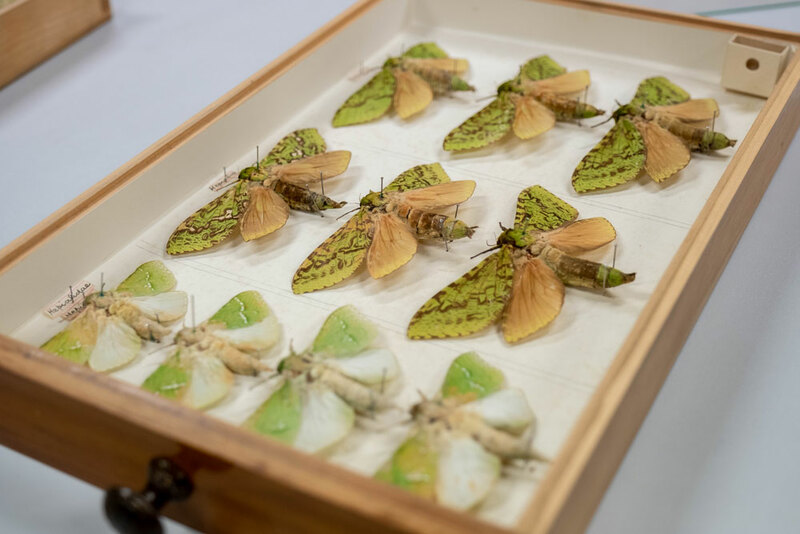 The collection is extremely valuable not only as a research and reference collection, but as an early record of the New Zealand insect fauna, especially of the Wellington region. We’re looking for enthusiastic code crackers to decipher Hudson’s handwritten collection records. 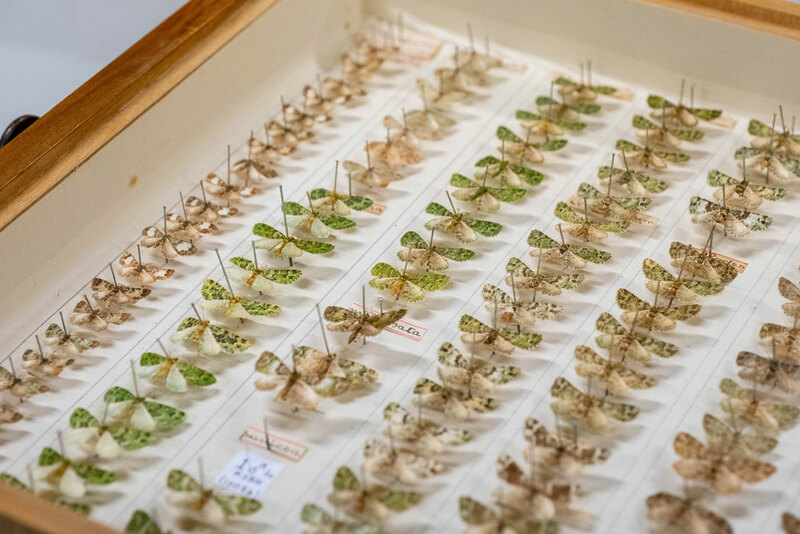 Inputted into a database, the data you collect will be used by conservation entomologists to compare the status of present day fauna with that of a century ago, and to discover changes due to modification of the environment. Hudson’s three registers are the only way we can understand the collection. However, they can be very hard to read. Hudson invented his own coding system for labeling his specimens. This, combined with his idiosyncratic handwriting, tendency to change names, and delete numbers of specimens, makes for quite the challenge when capturing data. In short, his registers were living documents that changed with the collection. Museums in New Zealand and overseas are already benefiting from the help of digital volunteers. 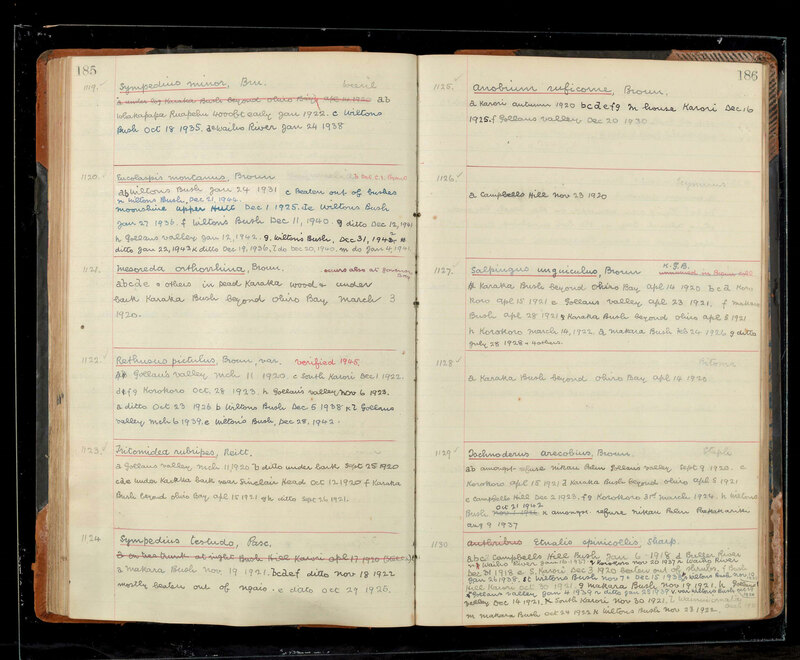 At the Smithsonian, 11,710 ‘volunpeers’ have helped transcribe a total of 386,567pages of field notes, diaries, ledgers, logbooks, currency proof sheets, photo albums, manuscripts, biodiversity specimens labels since June 2013. Auckland War Memorial Museum also have their public helpers, and maybe you’ve already helped Te Papa to bring the Atkins diaries to life. We’ve scanned every page of these fragile aging registers in high resolution. In doing so, it’s now possible to share and magnify the writing and transfer the data into a database without touching the vulnerable originals. You can decipher as much or as little as you like. For instance you might like to pick your favourite insect group. 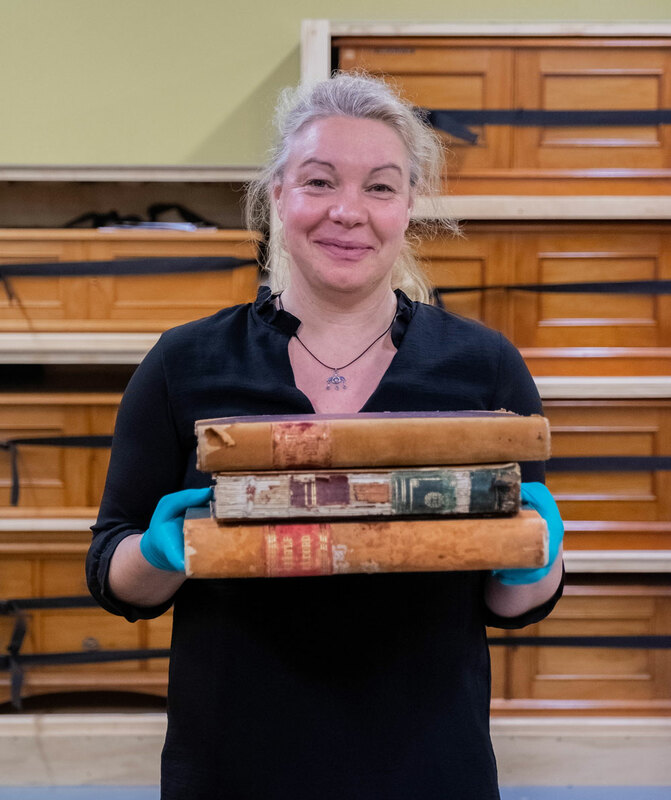 The pictures of the registers as well as your transcriptions won’t have any copyrights and once the transcription is completed, the data will be available to access via Te Papa’s Collections Online website. To help, contact Julia.kasper@tepapa.govt.nz I’ll let you know what’s entailed and we can discuss which pages you’d like to decipher. Be part of this unique joint venture of New Zealand scientific history and future research.